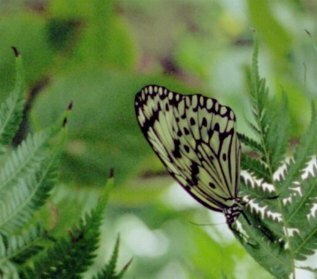 Youve Been Reviewed: Where are butterfly gardens in Tennessee? Where are butterfly gardens in Tennessee? Did you know that there are butterfly gardens in Tennessee? Two of them are just a little under 2 hours from Knoxville. I can remember when Dollywood had a butterfly garden. It was nice to enter the atrium and just sit there watching them float from flower to flower. Although this particular garden is no longer available there is another one in Tennessee. Travel south on I-75 from Knoxville to Chattanooga and pay a visit to the Tennessee Aquarium. The top floor of the new building has a a butterfly garden. The entire space is built to mimic an outdoor habitat. Walking through the butterfly atrium is like walking through a forest. There are trees and flowers. Butterflies can also be found at feeding stations and water dishes. They are as likely to land on your hat as they are on a tree limb. Be sure to check yourself in the large mirror before leaving. We visited several months ago and had a great time. I'm looking forward to my next experience at the garden in the Tennessee Aquarium. Your purchased admission covers both buildings for same day entrance. A family membership can be a good value for families. Chattanooga also has another butterfly garden. The Tennessee River Gardens and Nature Preserve on Lookout Mountain has a seasonal enclosed pavilion. Up to 20 different species are represented. There is a native wildflower and plant habitat with trails.